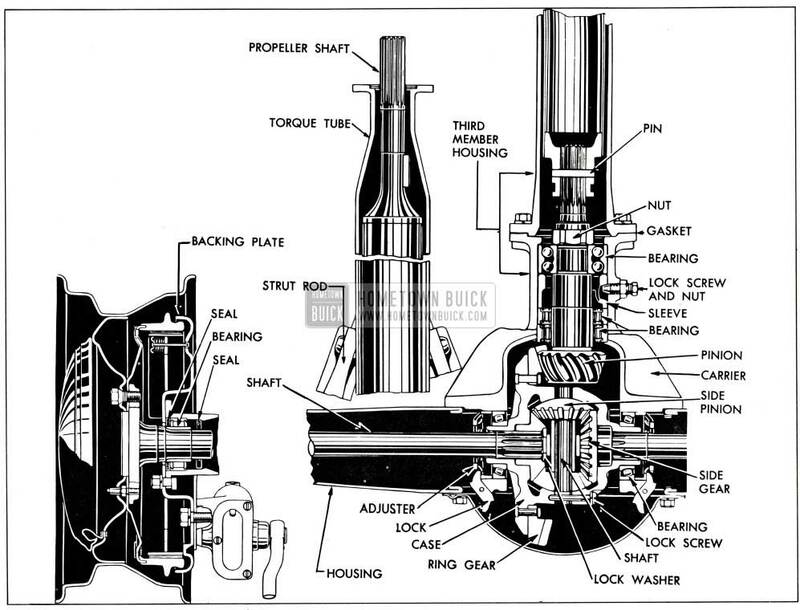 The 1951 Buick rear axle assembly is the semi-floating type in which the load is carried on the axle shafts through bearings enclosed in the axle housing. See figure 5-1. It has a torque tube drive and a Hypoid type spiral bevel ring gear and pinion set in which the centerline of the pinion is below the centerline of the ring gear. See figure 5-19. The torque tube is joined to the differential carrier to form a unit assembly called the third member housing; the torque tube and carrier are not serviced separately. This is because a straightening operation is necessary to line up the pinion bearing holes with front flange pilot on torque tube. The third member housing is bolted to the banjo type rear axle housing. Two rear axle strut rods form braces between the front end of the third member housing and the outer ends of the axle housing to hold third member square with axle housing. The torque tube encloses the propeller shaft which is rigidly connected to the pinion through a splined joint and a pin. See figure 5-1. The pinion is supported in the differential carrier by two Hyatt roller bearings (rear) and a New Departure double-row radial-thrust ball bearing (front) which is secured to the shaft by a large lock nut staked in place. 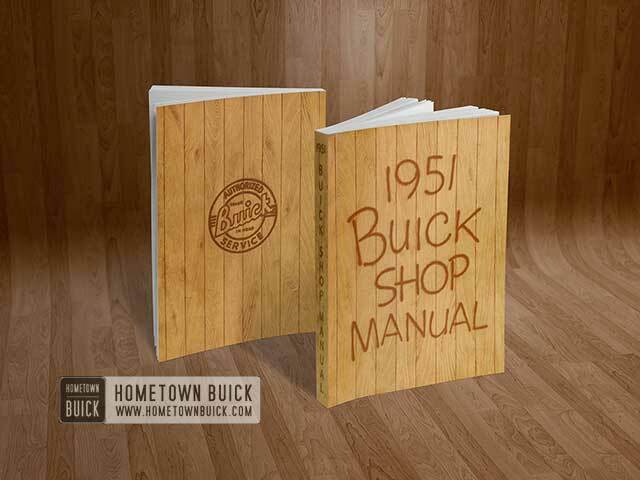 1951 Buick rear axle is equipped with either standard or optional gear ratios. See paragraph 5-1. 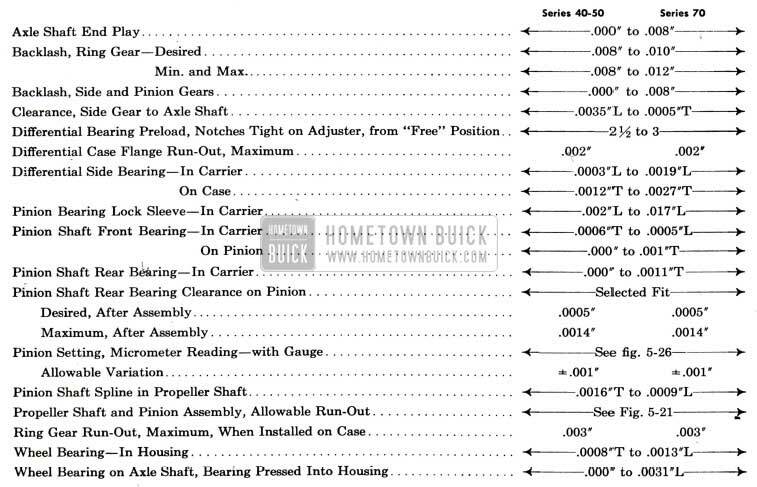 The 1951 Buick rear axle ratio is indicated by numbers stamped on underside of axle housing.